They couldn't have been more different and they couldn't have been more alike. 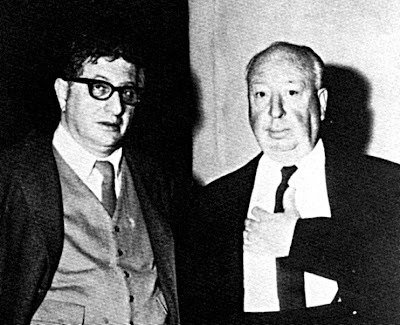 Alfred Hitchcock, the reserved Englishman with the Jesuit upbringing who worked his way up the ranks in film production, and Bernard Herrmann, the excitable, Juilliard-trained, Jewish New Yorker. In common, they were stubborn and impatient and prone to depression. Apart, they were monumentally successful. Together, they established one of the most brilliant creative partnerships ever seen between two artists. Theirs is the story of two masters and it's a narrative alive with suspense and complete with a subtext full of the signs, symbols and recurring motifs that Hitchcock geeks (or scholars, if you prefer) compulsively sift through and savorhat both their names beging with "H" suggests a deep identification, should we assume that Bernard with a "B" was the beta to Alfred's alpha? They were two exacting perfectionists whose individual work informed and heightened each other's and came to a thrilling climax in a masterpiece of operatic dimension. Neither man was easy. They were two famously difficult fellows who managed not only to get along but, like inspired Siamese twins in an intellectual and emotional symbiosis, managed to thrive. Until they didn't. When the curtain came down on their final act together, it came down in shreds, slashed beyond repair. 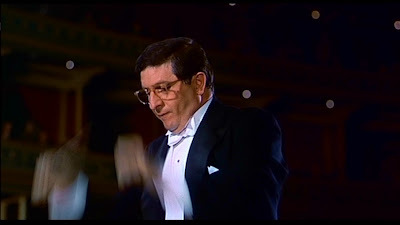 Bernard Herrmann, a composer of ballets and operas had mainly supported himself by conducting for radio, most notably Mercury Theatre on the Air (where he provided the music for the infamous "War of the Worlds" hoax.) He arrived in Hollywood with Orson Welles and right out of the gate garnered two Academy Award nominations, one for Citizen Kane and one for The Devil and Daniel Webster, which actually went on to snap up a an Oscar trophy. Obsessive and meticulous, he insisted on orchestrating his own compositions and quickly became one of the most influential composers in movies. Meanwhile, Hitch enjoyed the luxury of working with a steady crew of professionals but he had not found a composer who stuck. When he met Benny, an artist who was as controlling as he, they discovered, as Herrmann put it, "A great unanimity of ideas." Beginning with the playfully macabre score Herrmann created for The Trouble with Harry, a dedicated association was hatched. Not that they necessarily saw their estimable output as the result of teamwork. Hitchcock was never one to share a spotlight and Herrmann put it out there that "Hitchcock had the great sensitivity to leave me alone when I was composing," adding, "he left it completely to me." However they viewed the collaboration in their own minds, they worked together in mutual respect and forged a friendship. Hitchcock had an unusual trust in his composer. One can speculate on the depth of their affiliation from The Man Who Knew Too Much, where Herrmann shows up in the film's socko climax, conducting the London Symphony Orchestra to his own orchestration of Arthur Benjamin's "Storm Cloud Cantata." 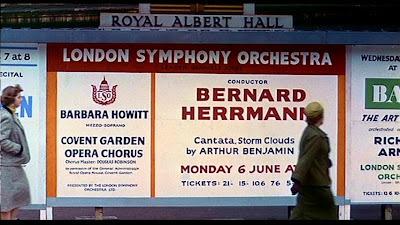 Earlier, a large poster heralding Herrmann's appearance plants the inkling of the maestro as the director's alter-ego. Sweetening this cameo even more is the knowledge that conducting was Herrmann's first love. Continuing to convey the aural expression of Hitchcock's vision, Herrmann wrote an appropriately stark and jazz inflected score for The Wrong Man. Their stimulating simpatico in full flourish, the two were propelled into their next project that would widely be considered the crescendo of their careers. Vertigo was like something borne of a fever dream shared between director and composer. Everyone employed on the film was at the top of their game and Hitchcock and Herrmann plunged into its strange waters holding hands. The sight and sound of Vertigo hit one as if the two were that fatefully entwined. Whether it is the scent of Wagner wafting through the impossible romance or Carlotta's disturbing habanera, there are few films that are so beautifully and powerfully wrapped up in music. It was Herrmann's most rapturous score since Joseph L. Mankiewicz's The Ghost and Mrs. Muir (curiously, another film that had overtones of necrophilia). Vertigo was certainly Hitchcock's most intimate film but it seems that Herrmann too, knew something about its ache of obsession, loss and longing. 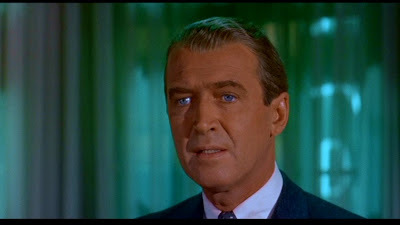 In Vertigo the profound connection between Hitchcock and Herrmann is at once evident and unutterable. Relieving us from the tragic death throes of Vertigo, the rousing, full of life fandango that breezes through the opening titles of North By Northwest, bursts in like an exhale of exhilaration, clearing away the cobwebs. And just when we thought we were on a safe train to happily ever after, came a little low-budget black and white affair to knock us right out of our complacency. Hitchcock originally envisioned the shower scene of Psycho with no music -- simply splashes and screams. Herrmann piped up with the idea of screeching violins and, wisely, Hitchcock listened. With terrifying images played out against the most iconic musical cue in movie history, the two left an unerasable smudge of shock on popular culture. The unearthly eeriness of The Birds comes precisely from its lack of music, but Herrmann was still on hand to direct and orchestrate the mingling of the natural and electronic bird effects. Too fittingly, it was at this time that relations between the two masters got a little peckish. Herrmann's lingering irritation over his pay cut on Psycho didn't amount to much but it does give us a bit of foreshadowing of what was to come. When Marnie went into production the sixties were in full swing. Youth ruled and lush, symphonic movie scores were out. For Marnie, Herrmann wrote a lush, symphonic score. And for that, the Universal studios front office lay much of the blame of its critical and financial failure. Decades later, Marnie stands up as far from a failure, and its melody sets the film's autumnal, timeless romanticism, something that a pop score would have oafishly obliterated. Hitchcock was stressed out and insecure. In the wake of tectonic changes in the movie business, one of the world's greatest directors was now a cog in a conglomerate. His un-Hitchcocklike response was to bend to executives. 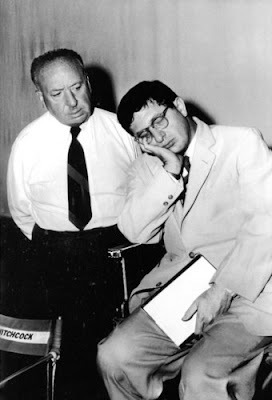 At the same time, Bernard Herrmann, as vituperative as ever, was ready to tell them all to screw themselves. Still, Hitchcock went against the studio's urging and stuck with Herrmann going into Torn Curtain. To placate his bosses however, Hitchcock instructed Herrmann to write a pop song for Julie Andrews to sing in the film. "Just write a hit song that would appeal to teenagers." Hitchcock told him. "Since when do you make movies for children?" Herrmann answered. Under the oppressive studio influence, Hitchcock worried that Herrmann was predictable and behind the times but he still wanted him. Sort of. Only now he wanted a Herrmann who would do what he was told. After hearing Hitchcock out, Herrmann went ahead and wrote the score that he felt would best serve the movie and perhaps even improve a project that was looking all wrong, from script to casting. Accustomed to his old powers of persuasion with Hitch, he wrote music for scenes that Hitchcock wanted without music and most defiantly, he neglected to come up with a song for Julie Andrews to warble. Hitchcock: "I'm entitled to a pop tune if I want one!" Herrmann: "What's the use of my doing more with you? I had a career before you and I'll have one afterwards." And he did. Herrmann left the United States for London and enjoyed further success scoring for the less commercially driven Europeans. June 29th marks Bernard Herrmann's centenary. In a career spanning from 1941's Citizen Kane to 1976's Taxi Driver (that he was working on at the time of his death) Herrmann scored many of the world's most prestigious pictures. And right, smack in the middle of that career was a mystical marriage of two maestros that, for ten years, cut a mighty swath through the history of music in film. There is a coda. A couple of years after the Torn Curtain debacle, Herrmann and Hitchcock had still not spoken. Herrmann was in Los Angeles and, wanting to finally break the ice and restore a meaningful friendship, he and his new wife drove out to Hitchcock's office and asked to see him. Only a door stood between the two estranged geniuses. According to Hitchcock biographer Patrick McGilligan, that door never opened. But according to Herrmann's widow, Norma, Hitch did meet with the composer, for a brief, cool conversation. Good post. On my blog I have discussed the relationship of Hermann to Vertigo and Jason and the Argonauts two scores which he worked on and which he borrowed themes from Vertigo to use in Jason. Although the latter was made several years later. Hitchcock and Harryhausen (those H's again), are surprisingly similar auteurs for Hermann to work with in that Hitchcock shot his movie in his mind through the use of cartoon paneling and Harryhausen built his movies around animated sequences. Also, there is a thread running through both films about the loss of religious faith in the 1950s--the setting of key scenes in Vertigo taken in a church graveyard and the central importance of the church tower representing the vertigo of the type of questioning of religion and other issues, which burst forth in full bloom in the 1960s when Jason was filmed. Indeed, Jason forgoes the help of the gods in Olympus in building his boat and assembling his crew, representing a 1960s view where religion has become less important as a worldview. topic on my blog site in August 4, 2009, "Jason and the Argonauts and the Quest for "The Golden Fleece" of Societal Meaning". I really enjoyed your analysis on Hitch and the sneak peak behind the scenes. The line: Vertigo was like something borne of a fever dream shared between director and composer Has me smiling. His scores for many of Hitchcock's films were spot on and haunting at times. Nice blog feature! Thanks for the comments. Jeff-for-progress, your insight into the Hitchcock-Herrmann-Harryhausen triangle is fascinating. Thanks Dorian. Yes, who knows what such a song would have been? He did, after all write opera and Andrews was a pretty solid soprano in her day so they might have made beautiful music together. I think Herrmann's scores are very powerful and memorable.